Need a refresher on all the information you learned in your Embody training? Want access to all the resources outlined in the presentation? After you completed your training, you'll receive a copy of our full Training Manual. 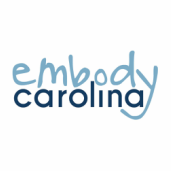 If you have completed the training and do not have a copy of the Training Manual, please email us at embodycarolina@gmail.com to verify that you completed the training.